How To: Fresh and Healthy Weekend Look Without to Much Makeup!!! You are here: Home / News / How to achieve a fresh and healthy weekend look without to much makeup!!! The weekend is the moment when we can wear less color on our face for more fresh and healthy glowing skin. 1.After you cleansed your face apply your daily moisturizer with SPF . 2. Your fave Concealer-apply only where need it and I mean it. 3 .Second use your lip stain for hint of color. 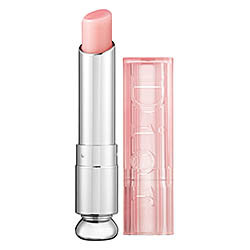 My trick is to use Dior Addict Lip Glow – The Color Awakening LipBalm I cant live without !!! The soft pink color is perfect to awake your dull cheeks as well .For me this is a must have item ! 4.Don’t worry for mascara. Skip it this time.But make sure your eyebrows a filled in. The trick here is to not feel the beginning of your brows and instead touch up the middle and the end of the brows.With this trick the eyebrows will look define but natural .Voila !